Delhi is getting colder day by day and it’s time to take utmost care of yourself. I’ve been layering up myself pretty well since last few days, owing to the chilly winds. But, on the brighter side, this season is the best to try entirely different looks! We have ample options right from Fur jackets, Puffer jackets to Bobble caps, Beanies, Scarves and what not! 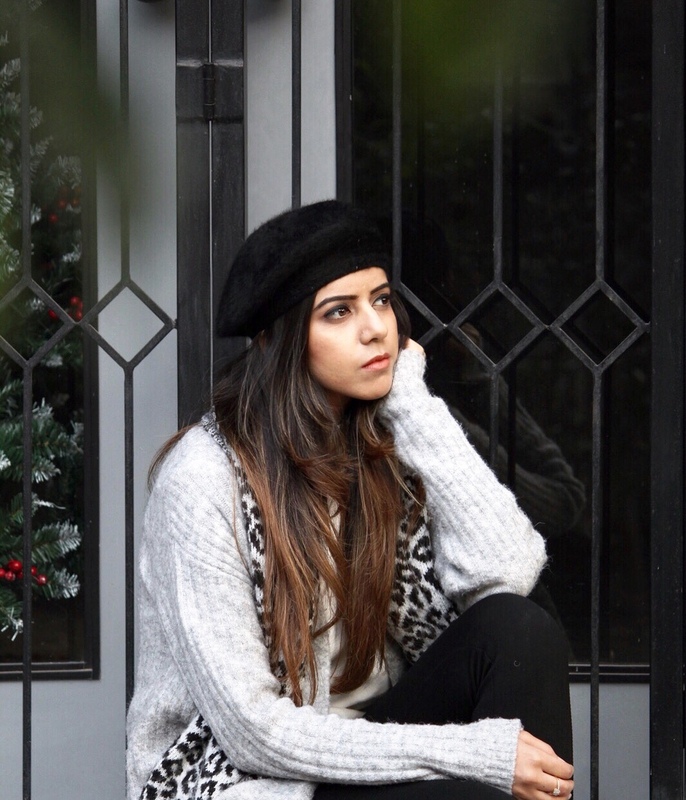 So here I am, sharing with you one of my favourite looks for the season which beats the chill and makes you look chic! Wearing a zero-neck white coloured tee beneath a light-grey coloured long cardigan with front open. 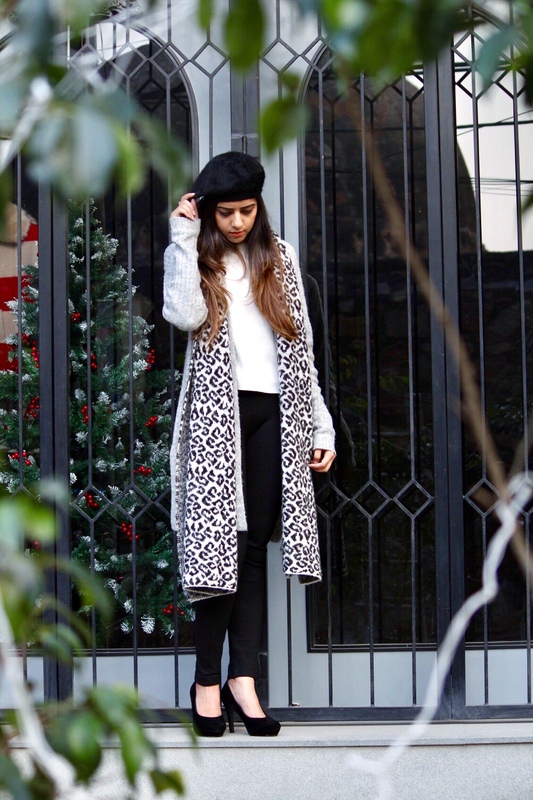 Styled it with black pencil heels, leopard print rectangular blanket scarf and black beret to add chicness. Hope you guys like it! Would love to hear from you. Step out in style this weekend and kill the chill!